The 2 tramcars 72B (built 1891) and 93B (built 1889) ceased service in 1932 and were later stored at Randwick Tramway Workshops. Both tramcars were purchased later that year and for the next 65 years 93B served as 2 bedrooms whilst 72B was fitted out as a dining room, kitchen, and bathroom/laundry/toilet. On arrival in Berowra they were placed along the land on pre-built brick piers with space between to build a lounge room. 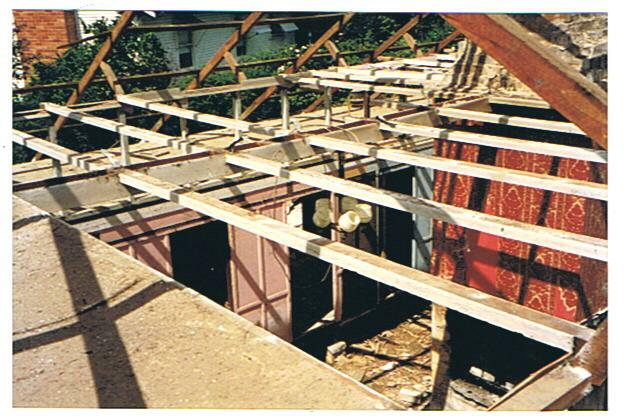 An overall roof was built which in retrospect contributed to the preservation of the tram bodies from the elements. Three families were associated with the life of this ‘tramcar house’. 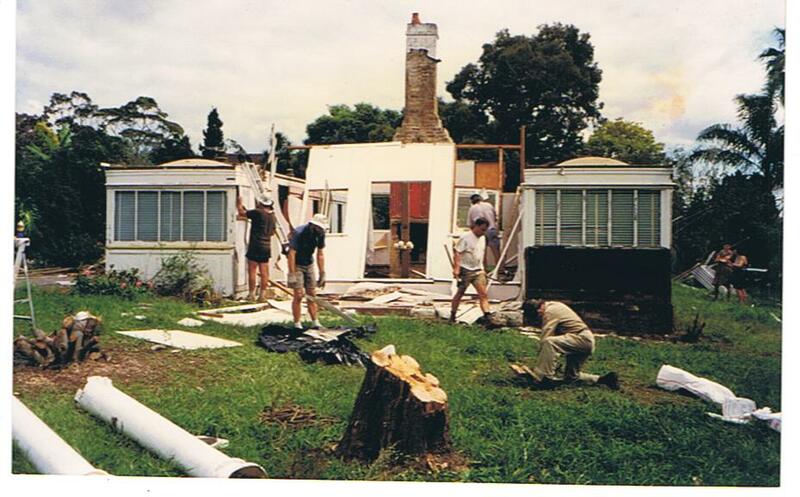 Then in 1997 a new owner decided on a demolition in order to build a modern home. The demolition was undertaken by The Steam Rail and Preservation Society after agreeing to purchase the 2 tramcars and demolish the remainder of the house and leave the block clear. Approximately 500 man hours were recorded in this task undertaken between 4 January 1997 and 10 March 1997. The cars were loaded onto semi trailers and taken to Valley Heights Locomotive Depot Heritage Museum for storage and eventual restoration. 93B re entered service in 2005 after being restored while 72B awaits restoration. Information taken from the Archival Material held by The Steam and Rail Preservation (Co-op) Society Ltd. Tuscalum Road Valley Heights, New South Wales.